Sardelle Terushan, sorceress and healer, should be lying low. Magic is forbidden in Iskandia, and magic users are drowned, shot, or otherwise slain. The problem? She's fallen in love with ace fighter pilot and national hero, Colonel Ridge Zirkander, a man whom everybody notices, including the king. It's not long before Sardelle has spies dogging her steps and people trying to blow her up. Worse, her presence is jeopardizing Ridge's career. 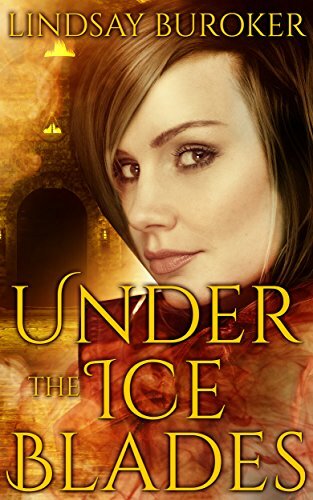 If she can't find a solution to the nation's centuries-old hatred of magic, the only way to protect Ridge—and herself—may be to leave. 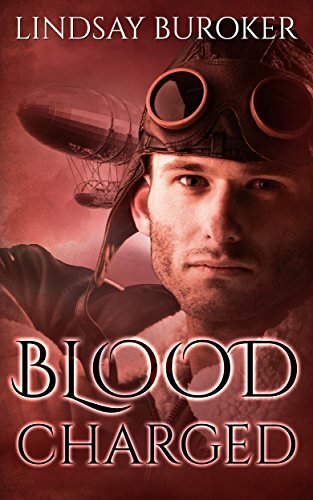 Ridge Zirkander isn't used to worrying about more than shooting down Cofah airships and keeping the officers in his squadron alive, but his world has gotten more complicated since giving his heart to Sardelle. It's difficult to keep people from noticing a mysterious and enigmatic woman, not to mention her chatty sentient sword. He's been passing her off as an archaeologist to his fellow pilots, but when the king calls him in to a private meeting, Ridge fears his secret has been discovered. But the king—and the rest of the country—has a greater problem. Cofah military scientists have acquired something that shouldn't exist in the world any longer: dragon blood. In addition to having countless mysterious properties, it's a powerful energy source that can be used to create devastating weapons. Ridge, Sardelle, and their allies must travel to the empire as part of a secret strike force to steal the dragon blood. If they fail, the Cofah will finally have the power to destroy all of Iskandia. I am a voracious reader and like many, I read books for a variety of reasons and to meet a variety of needs. Lindsay Buroker is my favorite go to author for when I just want to escape the craziness of life. She always provides just the break that I need from an often emotionally exhausting life. I love her quirky characters and Blood Charged does not disappoint. I lived as a wise rebel vicariously through Colonel Ridge Zirkander and felt some of my desire to rebel, because of course I know better, wash away leaving me a more peaceful citizen. I reveled in the joking camaraderie of "brothers" wishing that we all experienced more of that in the real world. I again lived vicariously through Sardelle. Her confidence, wisdom, power, and benevolence in her power. I was feeling a bit out of control in my day-to-day life and while I fully entrust my life in God's hands it was fun to fantasize a wee bit about being able to mentally drop kick an enemy or two. The characters always have strong individual personalities but I love it when you get to see them work together as a cohesive team. Teamwork existed in the Emperor’s Edge series but it is much more intrinsically entwined in this series. It is not always easy to find the perfect escape book but each and every time I pick up one of Lindsay Buroker's books I am not disappointed (except for that while she is an incredibly fast writer she constantly keeps me wanting the next book NOW). 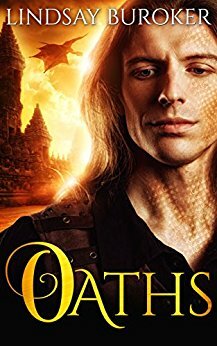 I am greatly looking forward to reading book four and learning more about Tolemek’s sister. I wouldn’t mind a whole new series spinning off in that direction (hint hint hint). As a reviewer for Lindsay Buroker, I was given a pre-release copy of this book for my honest and unbiased opinion. Lindsay is a full-time independent fantasy author who loves travel, hiking, tennis, and vizslas. She grew up in the Seattle area but moved to Arizona when she realized she was solar-powered. Buroker’s extended bio on her website is quite humorous and indicative of her stories.